Avocado with honey being my mum's fav, thought why not I post it on Mom's day. This light breakfast, we prefer mostly for Sunday mornings. After reading so many post today where everyone shared many sweet incident with their mom's, all I remember is how I used to nag my mum everyday morning to drink milk, I hated milk to T, so everyday a drama was played. Milk should neither be hot nor cold, no foam, no cream. Mum prepares the way I want it (have no idea how) yet I will keep it my hand for long, then again when cream starts to form I used to say "I will not drink this milk". As little girl I hated food generally, have troubled her to the extremes that I remember getting few light slaps! After which, I used to cry buckets creating more drama! These are such a sweet memories, puts a smile on my face just with a thought of it! There are endless stories, incident and anecdote that could fill up page. The beauty is we haven't changed much till today. I still do harass/irritate her. She sometime forgets and asks me same question she asked before, I respond saying "Come on Mrs. Rajashekar you can think, think think". In the end I make her to answer. She is the same patient, enduring and loving. Till date I enjoy completely to irritate my mom and sis and argue with dad endlessly. But that's my way of love for them :) You see we were pampered kids! To my sis who is a mum of two little ones, I'm amazed how beautifully she is playing her role, for her life revolves around my niece and nephew, you are such a gorgeous mum! And to all the mum's you all are fabulous! happy mother's day! 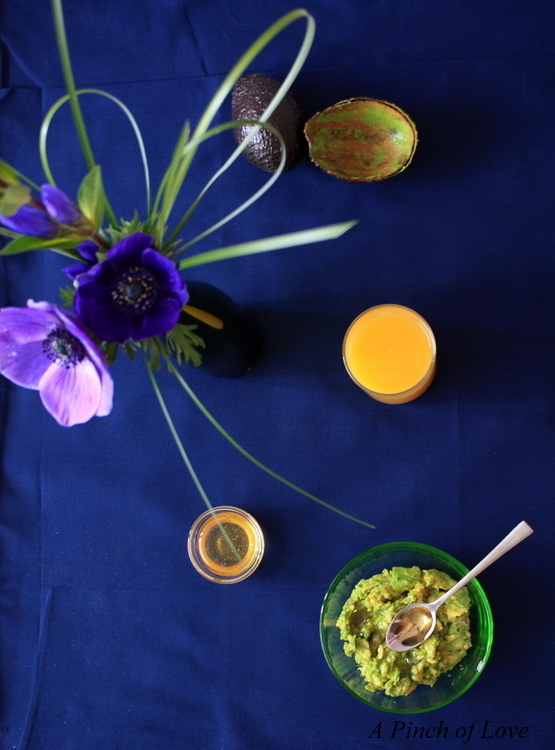 We consider Avocado with honey as good healthy and easy breakfast. Cut the avocado, scoop out the pulp, smash lightly add honey mix well and enjoy! Nice n simple breakfast ! Oh wow, this is such a lovely post. I do tease my mom a bit when she repeats the same thing. Your avocado looks so simple. Great pics! Have fun on Mother's Day! What fantastic pictures, such wonderful colours, I love them. Not forgetting your recipe, so simple I must try it. Avocado & honey is my fav combo too.I generally mix it up wih milk and make a smoothie or freeze it to make icecream.i have a recipe on blog too - avocado -honey icecream.I bet you wont dislike milk ever! Happy Mother's day dear ! Beautiful write up n enticing pictures! Have to give this a try fabulous pictures fantastic combination. 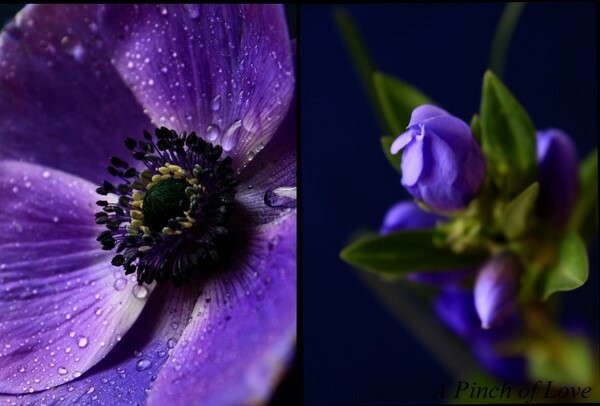 wow...love d awesome clicks...lipsmacking recipe dear..
Beautiful color and photos! Simple and lovely combo. Lovely pic ...looks so gud .. Such captivating and gorgeous pics! love the easy and healthy breakfast idea! Lovely post and beautiful pictures dear..delicious and healthy breakfast. 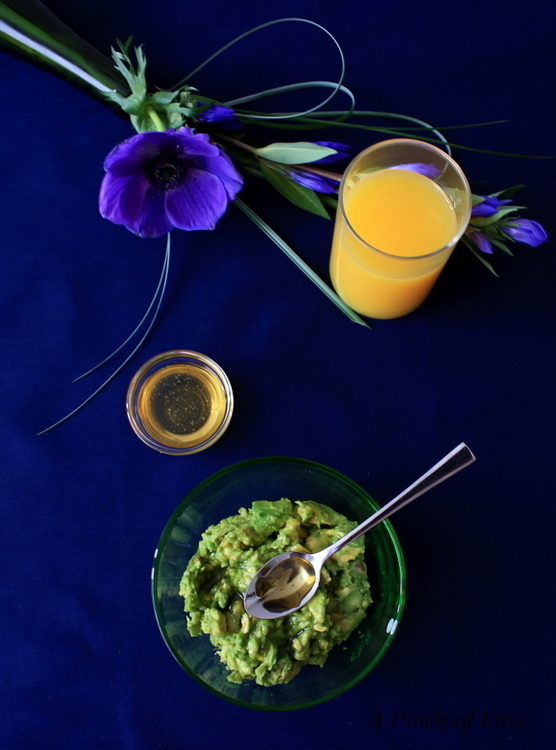 lovely memories!....avacado and honey breakfast sound delicious!...never thought of this combination! 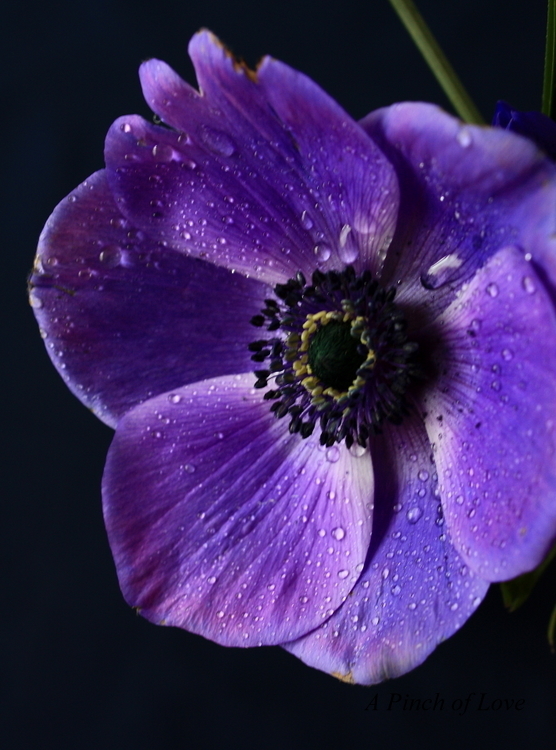 Wow, stunning pics Ananda...I can keep looking at it forever...beautiful! And lovely post dear..
Never tried avocado and honey combo before but it looks so tempting and delicious..
Thats sounds like a great combo Gal!!! Thats a lovely write up!!! 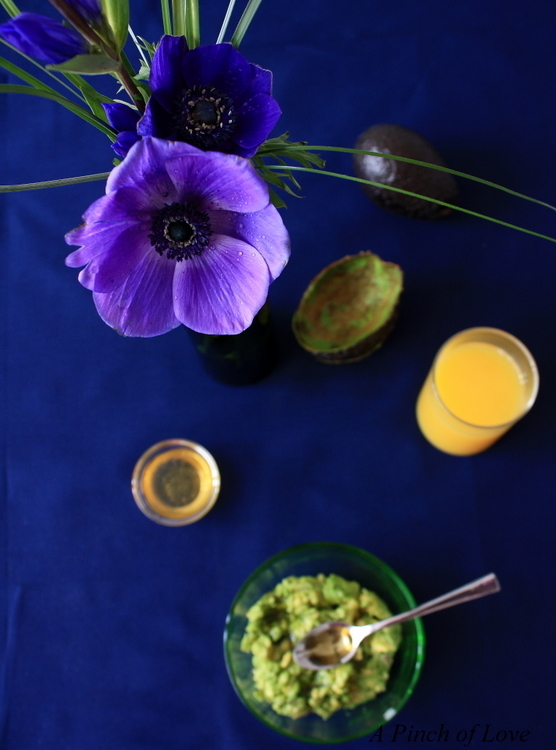 And avocado-honey sure makes a healthy breakfast!! That's a marvellous write-up and your pictures are just awesome! The write-up is marvellous and the pictures are just awesome! I have neer though of having avocado with honey! Intrigued by this idea of avocado & honey - would never have thought of putting them together, but I bet it is delicious and a very healthy way to start the day. 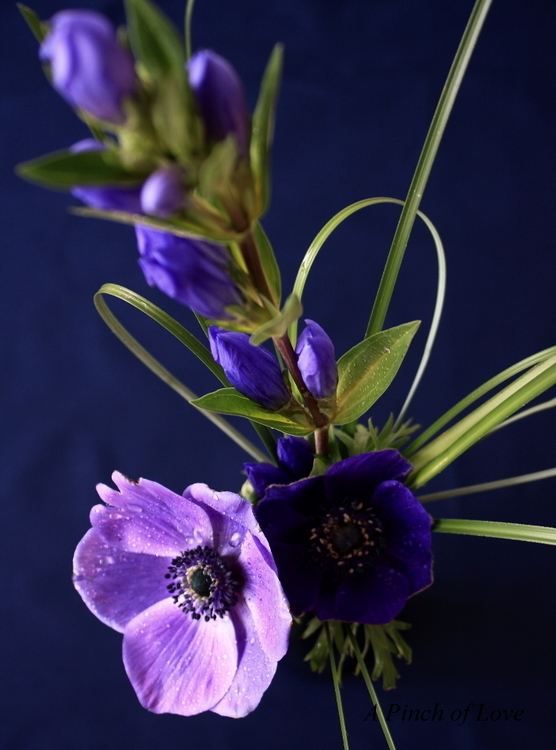 Thanks for stopping by my blog today - it was so lovely to hear from you. omg- what lovely clicks- and hey ur mommy remembrances got me nostalgic- the breakfast looks dish on fire- yum ! First time here .. lovely blog. Pictures are eye catching. Will visit back often. You know, I hated food too, when I was small. Even when I was a teenager and wanted to be model-thin. I drove my mom, grandmother - all the women really - in my life crazy with not wanting to eat. And my dad used to make my milk for me, just like your mom did. Your stories really hit home for me. Avocado with honey sounds interesting. And I certain your mom loved these pictures - what a thoughtful 'gift' to share with her! Such a simple and healthy recipe, will definitely give it a try. I remember something similar about my mom trying to make me drink milk and eat eggs :D Moms are the best ! such a beautiful clicks ! What a very sweet post...and what a lovely recipe! Simple and yet so flavorful. I can't wait to try it! The mashed avocado with honey looks really tempting. Avacado & honey looks really yummy love the color! Would never have thought of putting avocado and honey together. Need to try it sometime. Would probably make a good face mask too ! Nice combination and I am commenting much later than mother's day but I can relate to your saying how our mothers forcing one thing or the other seem to stick with us. Thankfully now they are a joy though earlier nothing less than war. As always Ananda your pics leave me speechless. 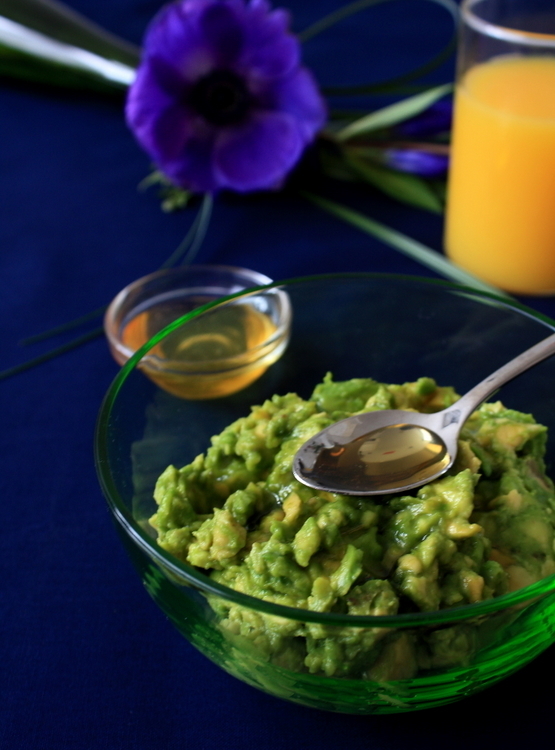 love the simple and delish avocado honey guac. Wow! Look at you totally nailing the choux pastry :) Well done....I am so impressed. I have yet to summon the courage to make these beauties. Fantastic clicks and a beautiful account. How I missed this post, I don't know. Avocado with honey sounds delicious idea. Mom's are always best. Excellent write up and photographs!! Yesterday I wrote a big comment here, I think it did not reach you!! There is problem with blogspot. Looks wonderful& tempting and sure would have tasted good. Not had avocado with honey before, but I love avocado and am willing to try it in any form.